If you are a clinician serious about offering a weight reduction program and you have only one book in your library, Judith Pearson's The Weight, Hypnotherapy and YOU Weight Reduction Program must be it. This is the comprehensive A-to-Z manual for handling clients who are suffering from our present obesity epidemic. Based upon recent secondary research, Dr. Pearson has compiled the best "how to" guide for clinicians that I've seen for quite some time. This book provides a turn-key guide complete with protocols, scripts, a limited explanation of various NLP techniques, and even provides a CD with client handouts. If a human mind is normal, it is presumed that its owner go through specific physical, cognitive, and emotional stages in order to learn how to navigate their social environment. When that fails to happen as expected by mental health experts, a person could be diagnosed as having some level of Autism Spectrum Disorder (ASD). In Practical Social Skill for Autism Spectrum Disorder: Designing Child-Specific Interventions, Kathleen Koenig MSN presents what she calls a blueprint for understanding ASD and designing effective, evidence-based interventions. Whenever I encounter a thoughtful book that positively portrays the field of hypnotherapy, I enthusiastically welcome the hard work and effort that its composition entailed. That was my initial reaction when I picked up The Hypnosis Treatment Option: Proven Solutions for Pain, Insomnia, Stress, Obesity, and Other Common Health Problems by Scott D. Lewis, DC. My enthusiasm for such work almost always results in a hearty appreciation and unquestionable endorsement and recommendation. However, this time I am going to make an exception. Nevertheless, let me begin my review by sharing what I appreciate about this book. Ranging from everyday people to highly educated professionals, one very popular goal of many is to have their ideas recognized in the form of a published book or article. Indeed, thanks to the opportunities afforded by the Internet, more and more people are expressing themselves in the form of blogs and even those ever-so-brief Facebook and Twitter updates. However, when their desire is to publish in a more substantial format such as an e-book, a printed self-published book, or even one that is done with the assistance of an established publisher, this often takes considerably more planning and discipline. These larger projects are often believe to present insurmountable obstacles But when the art of writing is mastered, efforts can quickly turn into a prolific hobby or source of income. The art of hypnotic story-telling is flourishing, thanks to masterful communicators such as licensed counselor and certified hypnotherapist, John Burton. In his audio CD, Stories to Remember, he tells stories that are not only memorable, but are intended to help listeners remember their spiritual selves; something Burton calls "God-energy awareness" – one's connection to the "infinite eternal love energy." Whether you or not are a clinician or coach who is qualified as a mental health practitioner, you most certainly frequently come into contact with people who have a wide variety of anxiety-related disorders. This is so common that I am confident to say that just about everyone who I deal with has more than a little concern about their anxiousness. This topic is brilliantly addressed in The 10 Best-Ever Anxiety Management Techniques by Margaret Wehrenberg, Psy.D. In this rather handy, well organized workbook Dr. Wehrenberg clearly explains and discusses the topic then provides an extremely simple but cogent explanation of ten highly effective techniques. This book seems to have three audiences. A mental health professional can gain excellent insight and advice on ways that the various forms of anxiety can be elegantly handled by their clients. For other healing and helping professionals – to include human resource managers, teachers, and athletic coaches – this workbook presents an excellent understanding as to why many people react the way that they do. In turn, they can be more understanding and patient. For those who possess a milder level of anxiety, the author's techniques provide a wealth of information, which gives hope that life can be lived on one's terms. Of course, for anyone who has a more severe issue with anxiety, I highly recommend that they seek a properly qualified mental health professional. One of the best features of this book is the companion CD, on which Dr. Wehrenberg demonstrates each of her ten techniques. Her clear explanations and soothing, compassionate voice can benefit just about anyone. I plan to integrate regular listening of these short three to 17 minute tracks into my daily mental tuning routine. Regardless, I have one – and only one – minor misgiving about her claim in that these techniques are the "best-ever." As my readers know, I have a very strong prejudice when it comes to the value of competently applied hypnotherapy as a stress relieving mechanism. I was surprised that there was not a single reference to hypnosis even in the bibliography. Ironically, I could consider the tracks on her CD to be very hypnotic. Nevertheless, I am sure that this omission was most likely done on purpose as there may be a preference to addressing hypnotherapy in a more advanced volume. I highly recommend Dr. Wehrenberg's book to anyone who is concerned about their stress and anxiety as well as those who assist with the healing process of others. If every decision you ever made was flawless, how would your life be today? Of course, this assumes that you could accurately predict all of the consequences of taking a particular course of action. I'm sure that the mere possibility of perfect decision making immediately brings up fantasies of great relationships, career successes, and even unlimited financial wealth and prosperity. However, although no matter how much a person has achieved - I doubt that anyone can claim a perfect record - can we at least aim for having a much improved track record in the future? Although many times a person needs professional help when addressing life's challenges, it is indeed possible for a person to embark on a self-help journey – provided that they have the correct tools. In Why do I Keep Doing This!!? : End Bad Habits, Negativity and Stress with Self-Hypnosis and NLP Judith E. Pearson, PhD, presents readers with a comprehensive, well-communicated, and effective guide. She addresses sixteen specific issues, most of which are very common to people in the western world. Two of hypnotherapy's stellar practitioners, Roy Hunter and Bruce Eimer, have pooled their expertise to produce a book on regression hypnotherapy so comprehensive, it is the only guide to regression hypnosis a hypnotherapist will ever need. In The Art of Hypnotic Regression Therapy, the authors have drawn from their mentors, David Cheek, Charles Tebbetts, and Dabney Ewin, as well as other hypnotherapists whose work established major milestones in hypnotherapy practice. Parallel communication in the form of analogies, metaphors and the use of complex linguistic patterns are potent tools for psychotherapists. In Understanding Advanced Hypnotic Language Patterns: A Comprehensive Guide, John Burton, EdD, provides a well-organized, concise exposition as to how they can be used effectively while addressing emotional states, perceptions, time, and behavior. This insightful volume provides the serious clinician with many elegant treatment options for a wide range of pathologies. Few mental pathologies have as much potential to create anguish and an experiential threat as eating disorders. 8 Keys to Recovery from an Eating Disorder: Effective Strategies from Therapeutic Practice and Personal Experience by Carolyn Costin, MA, Med, MFT, and Gwen Schubert Grabb, MA, MFT, is an excellent self-help book intended to help those suffering from this problem by increasing their understanding and giving them hope that recovery is possible. One of the most striking aspects of this book is the fact that it was written by two therapists who were themselves afflicted by eating disorders. This helps the authors connect with potential readers as they lead them through their personal journeys. They share how they initially developed eating disorders, came to recognize its seriousness, and how they navigated through various stages of recovery. This book is part of a series of "8 Keys" self-help books published by W.W. Norton & Company. As eating disorders are a very complex problem, which almost always warrants both medical and psychotherapeutic treatment, I was initially concerned as to whether this book could do the subject justice. However, I found that this simplification was extremely effective and most likely just what the average therapy client needs to help them understand the major tenets of the healing process. The one major theme found throughout this book is a story of hope that recovery is highly probable once a person recognizes and accepts that they have an eating disorder, and that professional assistance is warranted. Again, the personal stories of the authors help give the feeling that recovery is indeed very possible. This is a book, which I highly recommend. For a person who suspects that this book may apply to them or for those who have been diagnosed as having a eating disorder, it will help them understand what they are going through and address major treatment issues. For family members or friends of the eating disorder sufferer, it will be equally enlightening both regarding their role in inadvertently facilitating the onset of an eating disorder as well as how they can be supportive during the recovery period. Hypnotherapists and other care-givers can also benefit from reading this book. Even though it is not written in a format, which will specify exact treatment protocols and procedures, it is useful in helping recognize the disorder and know when a client should be referred to another more qualified colleague. Indeed, on several occasions I have been contacted by a person who wanted hypnotherapy assistance in managing their weight and quickly realized that the problem was much more serious than the client realized. As an eating disorder is predominantly a situation in which many of the auto-regulatory functions of the brain's limbic system have been disrupted and need to be re-balanced, I was somewhat surprised that the authors did not spend more time discussing guided imagery and/or formal hypnotherapeutic treatment. They only addressed this briefly – albeit while omitting the words hypnosis and hypnotherapy. I trust that a more professional treatment manual would correct this concern. Qualified hypnotherapists – to include lay practitioners who possess both the requisite skills in hypnotherapy and psychotherapy – could accelerate a client's progress through the various stages of healing and recovery. If hypnosis is viewed as a process, which enhances selective thinking, and mindfulness regarded as a here-and-now space/time orientation, then their relationship needs little further intellectual consideration. However, if you follow the line of reasoning that hypnosis is a state characterized by focused awareness, dissociation, or trance while keeping the opinion that mindfulness is also a state, there is indeed an obvious opportunity to contrast the two. Contrary to my frequent comments maintaining that the initial view is the more scientifically supported and the most operational, 30 year veteran psychologist Michael D. Yapko, PhD, uses his new book Hypnosis and Mindfulness: The Power of Suggestion to Transform Experience as an exhaustive exercise to accomplish the latter. In his introduction he sets forth that his purpose is to "show the relevance of hypnosis to the effective utilization" of what he calls guided mindfulness meditation – for which he creates the acronym "GMM." After carefully reading this book, I don't feel that his objective was met. Somehow I was left with the impression that this book serves little productive purpose. Roy Hunter is a well-known author and sought-after speaker who diligently continues the work of the late Charles Tebbetts, often regarded as a grand master of hypnotherapy. Hunter is also a practicing hypnotherapist who, from 1987 to 2010, taught Diversified Client-Centered Hypnosis at Tacoma Community College, in Washington. He is a Life Fellow in the International Medical & Dental Hypnotherapy Association (IMDHA). Seemingly forever medical science has been searching for a magical cure for cancer. This non-communicable, often deadly disease is indeed one of the most feared in modern times. Furthermore, traditional treatment, which is designed to remove cancerous cells, leaves the patient less capable of warding off future recurrences. Add to this the fact that approaches to many childhood diseases may in fact greatly increase the probability of cancer occurring later in life. 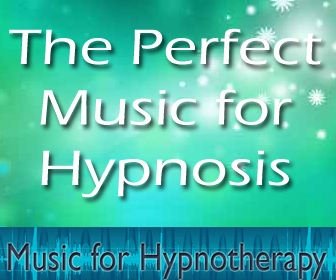 Roy Hunter is well-known in hypnotherapy circles. He is a widely-read author and sought-after speaker who diligently continues the work and teaching of the late Charles Tebbetts, considered by many to be a grand master of hypnotherapy. Hunter is also a practicing hypnotherapist who, since 1987, has taught Diversified Client-Centered Hypnosis at Tacoma Community College in Washington. His books are required reading at schools of hypnosis around the world. He was inducted into the International Hypnosis Hall of Fame in 2000 and has received honors from national and international hypnotherapy organizations. With Crown House Publishing, he has recently released new editions of The Art of Hypnosis, The Art of Hypnotherapy, and Mastering the Power of Self-Hypnosis. Together, these three volumes form a comprehensive home-study course on hypnosis for both professional hypnotherapists and lay readers. Psychological trauma is probably the most prevalent problem currently addressed by mental health practitioners. Unfortunately for many people, trauma often results in a variety of dissociation reactions – many of which go by diagnostic names such Dissociative Identity Disorder, Post Traumatic Stress Disorder, and Dissociative Disorder Not Otherwise Specified. Coping with Trauma-Related Dissociation: Skills Training for Patients and Therapists by Suzette Boon, PhD, Kathy Steele, MN, CS, and Onno Van Der Hart, PhD, is an extremely comprehensive volume. It is intended to provide therapists, patients, and their families considerable insight and numerous effective tools. Dabney Ewin, a physician and hypnotherapist, intended 101 Things I Wish I/D Known When I Started Using Hypnosis to be a small, simple book: easy to read and understand. And it is. Ewin is a Clinical Professor of Surgery and Psychiatry at Tulane Medical School in New Orleans, Louisiana. With a strong affinity for psychosomatic medicine, he began teaching and using medical hypnosis in 1970. Today he is a leading expert in medical hypnotherapy. His book is a compilation of observations for practitioners. In Forget Diets, Plant Tomatoes: A metaphoric, hypnotic journey to stop emotional eating Joanna Cameron DCH, who labels herself as the "Trance Lady," presents a rather simple and elegant seven-step approach to overcoming obesity. Her tactics come down to reducing biographical emotional blockages using Time Line Therapy, parts therapy, chakra balancing, and Emotional Freedom Techniques (EFT). They are integrated with an effective approach toward goal setting and accomplishment. One of the most refreshing things about When the Past is Always Present: Emotional Traumatization, Causes, and Cures by Ronald A. Ruden, MD, PhD, is that is a trauma book written by someone who is both a medical doctor and has a doctorate in neurochemistry. By explaining this often debilitating issue in terms of the chemical communication between the different substrates of the brain, his non-psychotherapeutic perspective presents a fresh approach. His unique treatment protocol is referred to as "havening," which is a mixture of energy tapping, guided imagery, and reassuring touch. While reading the first couple of chapters of Anxiety Disorders: The Go-To Guide for Clients and Therapists by Carolyn Daitch, PhD, I was particularly affected by a very short phrase. She wrote that "anxiety is not a character flaw." As I look at this set of very common mental pathologies as the human power of simulation and anticipation gone awry, I concur with her simple yet, extremely profound approach. This is a book that provides both clarity and – more importantly – hope. Few books on psychotherapeutic topics have given me as much intellectual and emotional satisfaction as Bill O'Hanlon's new book, Quick Steps to Resolving Trauma. With surprising thoroughness and compelling clarity, he presents a four step process that helps therapists understand this pervasive problem. Unlike many therapist books, it is written in a way, which non-therapists can both easily fathom and benefit. I was pleasantly shocked that the book was only 123 pages and could quickly be consumed in one sitting. When I first learned of the upcoming publication of Neuro-Hypnosis: Using Self-Hypnosis to Activate the Brain for Change by C. Alexander Simpkins and Annellen M. Simpkins, I was thrilled. Together the title and a statement in the book's introduction implied that the authors had written about how the mind can be deliberately used to change the brain. As this is a theme of much of my writings, I was encouraged by the fact that others were independently recognizing the power that we humans have in affecting lasting change. However, after an exhaustive reading I have concluded that this is yet another Ericksonian-oriented "what is hypnosis" primer as well as an interesting and entertaining self-help book. My hopes and expectations were not met. Thinking Therapeutically, by Tom Barber and Sandra Westland affords a rare look into the minds of two seasoned hypnotherapists, as they relate case studies and comment on one another's work. This book is ideal for beginning hypnotherapists and for those who wonder about a therapist's internal process during the external therapeutic conversation. When a person experiences a problem integrating one or more disturbing or life-threatening events, clinicians have a wide range of tools with which to assist their recovery. The phenomena, which is called a trauma, is the topic covered by a new book by psychologist Robin Shapiro, PhD. In The Trauma Treatment Handbook: Protocols Across the Spectrum, she addresses practically all protocols currently available – to include pharmacology. I tend to agree with the charge made in the preface by trauma authority Daniel Siegel, MD as to the lack of scientific research regarding many of the presented modalities. However, I also concur that due to the complexity of traumas the various approaches warrant significant discussion. In this volume Shapiro has done so brilliantly. Harvard-trained neurosurgeon and founder of the American Holistic Medical Association, C. Norman Shealy, M.D., Ph.D. has created a documentary film, "Medical Renaissance Series: The Secret Code." It is well worth a viewing. Norm Shealy, often called Dr. Wizard by his colleagues given his 10 inventions and inventive strategies, is man who likes to solve problems and understand why. Shealy brings his all-things-are-possible thinking to this 92 minute DVD as he explores alternative healing methodologies through case studies, successful patient interviews, and conversations with some of his cutting edge colleagues, including Carl Hammerschlag, M.D., Gladys McGarey, M.D., Caroline Myss, Ph.D., Belleruth Naparstek, Ph.D., Morris Netherton, Ph.D., John Sewell, D.D. and others. As a hypnotherapist, I was intrigued by this small book focusing solely on hypnotic inductions. In Techniques of Hypnotic Induction, psychotherapist George Gafner, brings over 30 years of experience to bear, teaching hypnotherapists how to communicate with the unconscious mind skillfully, through story-telling inductions. Over the years mental health clinicians develop unique ideas and procedures, which the find to be extremely effective with their clients. For those who are always on the lookout for new methods Clinical Pearls of Wisdom: 21 Leading Therapists Offer Their Key Insights offers the reader a treasure chest of time-tested concepts. Immediately upon reading this anthology I felt that I had benefitted from the collective experience of many of the professions most competent practitioners. Edited by Michael Kerman, MSW, the founder of Leading Edge Seminars, this volume presents a concise series of chapters in which each therapist shares a few well-chosen pearls, a relevant case history, and a summary. Handbook of Ericksonian and Solution-Oriented Hypnosis continues that accomplishment by presenting an enjoyable and practical guide to permissive hypnosis. I highly recommend this to the serious clinician. However, this is a book that would benefit just about anyone interested in personal change. I will definitely encourage my students to add this new book to their library. Hypnotically Enhanced Treatment for Addictions--By Joseph Tramontana, Ph.D.
For mental health practitioners trained in hypnotherapeutic approaches to addictions, compulsions, and habit control, Joseph Tramontana's new book will make an excellent library addition. Hypnotically Enhanced Treatment for Addictions provides strategies and scripts for alcohol abuse, drug addiction, gambling addiction, smoking cessation, and weight loss. The methods in this book can be extended to other compulsions and impulse control disorders as well. Followers of Bill O'Hanlon will delight in the recent release of his six new CDs, all influenced by the work of Milton H. Erickson. If you don't know much about Milton Erickson, this set of CDs will serve as a good introduction to Ericksonian hypnosis. The recordings demonstrate O'Hanlon's versatility with hypnosis, rapport, and story-telling. In each 40- to 60-minute presentation, his voice is friendly and comforting to listen to, with excellent inflection and pacing. Bill tells his stories in such a relaxed and casual manner that they seem spontaneous and fresh, as though you were hearing them over a mug of beer or a cup of coffee. Here is a brief review on each CD. To see the nine affects (or emotions) displayed on the faces of infants alone may make purchasing Affect & Hypnosis: On paying friendly attention to disturbing thoughts worthwhile. This DVD is a recording of the keynote that Donald L. Nathanson, MD, gave at the 2008 annual meeting of the Society for Clinical and Experimental Hypnosis. This world-renowned expert on affect (i.e. emotions and feelings) gave a brilliant presentation concerning the two positive, one neutral, and six negative affects displayed in clients and patients. by Fred P. Gallo, Ph.D. Imagine visiting a therapist and coming away completely relieved of the trauma, depression, phobia, anxiety, or whatever your malady may be. Imagine if that could be accomplished within one or a very few sessions--or even possibly within a few minutes. Wouldn't that efficiency be more to most people's liking? No doubt! Over the past seventeen years, I have found that usually I can assist clients in achieving this ideal. People enter my office with a psychological problem and leave without it. Frequently similar results can be achieved with some physical problems such as headaches, back pain, and even jaw pain. While a certain amount of talking is involved, the curative aspect of the therapy is not the talking at all, but rather through the activation or correction of an increasingly coming-to-be-known bodily energy system. 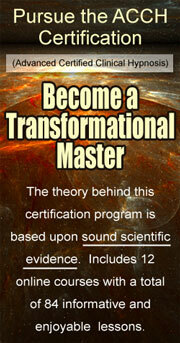 This is the same system that brought you acupuncture and that makes regeneration and physical healing possible. But more on that later--first a few brief cases to consider. It is hard to summarize the flood of self-help technologies of the past 20 years. Either you can view them as a literal smorgasbord of intriguing opportunities or a cacophony of methodologies just waiting for organization. Unleashing Your Brilliance: Tools & Techniques to Achieve Personal, Professional & Academic Success by Brian E. Walsh, PhD, is probably the layman's best summary for the wide range of effective tools available for transformation. In a brilliantly composed, easy-to-read volume Dr. Walsh provides a clear and comprehensive explanation of the multitude of ideas that were popularized in the 1990s and early years of this decade. Randal Churchill's Catharsis in Regression Hypnotherapy focuses on two controversial issues in hypnotherapy. The first issue, regression, is fraught with the possibility of bringing about false memories. The second issue, catharsis, holds the possibility of re-traumatizing a client through abreaction. In spite of my doubts about the therapeutic value of the author's approach, I found the book well-written and worthwhile to read. When I first picked up Foundations of Clinical Hypnosis, by Edwin Yager, I did not feel enthusiastic. First, the title sounds like the dry, dull textbooks I waded through as an undergrad. Second, as a hypnotherapist of 20 years, I thought I'd find the subject matter too basic. I am happy to say I was wrong on both counts. Yager's book provides stimulating reading. It is written in a straightforward way and holds basic information for beginners, as well as innovative methods for seasoned practitioners. Despite the fact that many medical practitioners have been trained in clinical hypnotherapy, this discipline still has a distance to go to achieve full acceptance as an adjunctive therapy in medicine. Advances in the use of Hypnosis for Medicine, Dentistry, and Pain Prevention/Management, edited by Donald C. Brown, MD, could help that effort considerably. This book is compilation of papers on hypnotherapy in medicine, all written by established practitioners who use hypnosis in their medical specialties. The book is the outgrowth of the 6th Frontiers in Hypnosis Assembly in Halifax, Nova Scotia, 2003. Discover Your Learning Genius: Enhance Your Concentration, Memory, and Test-Taking Skills, is the new dual induction CD by Judith E. Pearson, Ph.D. and Oscar Rodriguez, CHt. As I have previously reviewed Dr. Pearson's book The Weight, Hypnotherapy and You, Weight Reduction Program, I expected a first class production. I was not disappointed. Everything from the packaging to the production is definitely top notch. During this period of economic crises and turbulence - while many Americans and others throughout the world are focusing on survival - Malcolm Gladwell's Outliers: The Story of Success, is a welcome respite. In this refreshing volume he presents numerous anecdotes which weave an enlightening, paradigm-breaking view of why some people are successful and others are not.